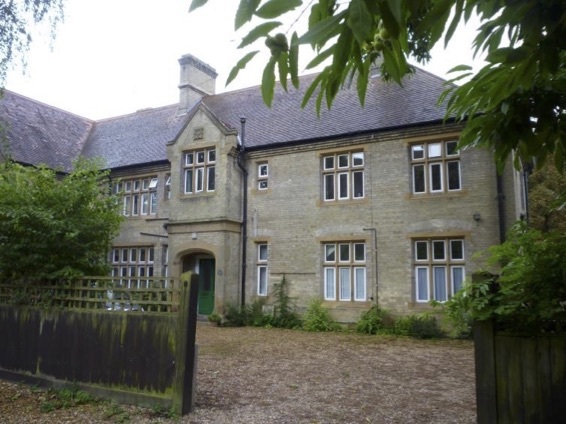 As the community of Newnham grew, so was it recognised that there was a need for pastoral care more local than Grantchester parish church could provide. At first, a temporary wooden church daughter to Grantchester Church was built in 1871 to designs by Richard Rodney Rowe, occupying the site of the current church and that of the vicarage. It was dedicated on the feast of St Mark 1871. The site was leased for 21 years from Corpus Christi College but in 1875 the freehold was purchased. The idea of a Parsonage was first mooted in 1875 by Mr Vansittart, a local resident; he considered that half the field on which the temporary church stood should be ‘reserved for the Parsonage and a garden’. He was willing to pay up to £300 towards an endowment, ‘providing the Committee with the help of the College can buy the other half’. A Trust was formed for the conveyance of the land, which included Professor G.D. Liveing (Professor of Chemistry), Mr Vansittart, Mr Clay, Mr Robert Piggott (market gardener living at Holmcroft, Barton Road) and Mr H.B. Watson (of the original Croft Lodge). There was some difficulty in obtaining a permanent Curate. The Rev. J.R. Bradstock of Corpus Christi accepted the post at a stipend of £100. It was decided to launch an appeal to supplement offertory collections towards the stipend and another appeal to raise ‘Funds for the erection of a Curate’s House’. 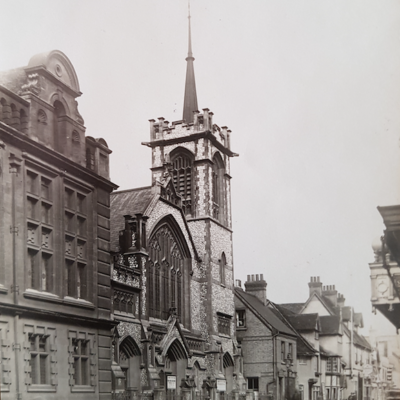 The Minutes of 17 March 1885 announce that an anonymous donation of £100 was promised for a parish room ‘forming part of a future parsonage, provided building be commenced without delay’. The decision was made there and then at the same meeting to go ahead, even down to laying down the exact positioning of the buildings. A sub-committee consisting of Professor Liveing, Revd. Bradstock and Mr Humphry (of the original Maitland House) agreed to ‘prepare plans for a Parsonage and Mission Room’. They proceeded to produce a ‘rough sketch’ ‘which may be inspected at the house of Mr A.P. Humphry’, for the purpose of inviting subscriptions. They estimated £400 were needed for the ‘Mission’ Room and £1600 for the Parsonage. William Sindall, the builder, came back with a tender of £576 for the Parish Room and £1222 for the Parsonage. Sindall also drew up working plans based upon the sketch plan signed by Liveing. Besides subscriptions, the sale of the gravel from the Church Field was predicted to raise at least £400. A total of £500 was raised to build a ‘parish room with two rooms above it’. The second appeal, in 1889, ‘resulted in the completion of the house for the curate’ at a cost of £1300. Works were completed in 1890 (see overdoor inscription), ‘with the installation of iron gas pipes, an Eagle kitchen range with a high-pressure boiler, bookcases’. The Parish Room was an instant success and much utilised; a scale of charges was drawn up by the Committee on 8 March 1989. 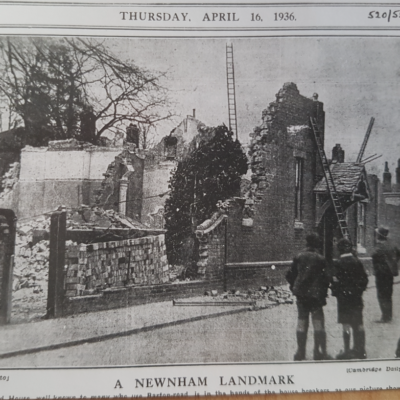 There was discussion about the use of the upstairs room over the Parish Hall by the Newnham Croft Club. (One is tempted ask if this was the forerunner of the Newnham Croft Social & Sports Club.) In 1967 Messrs Milner and Roberts were asked to convert the ‘house into a Vicarage’ and create a maisonette and flat. The plans also show an extended kitchen for the Parish Hall which ate a piece out of one of the Vicarage rooms and the Vicarage staircase was turned through 180° crossing a window to the right of the entrance door. Around this time, half the Vicarage garden was sold for the development of The Cenacle. We learn in the History of St. Mark’s by F.H. 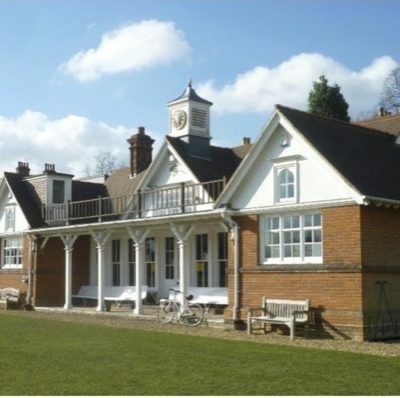 Stubbings that it was only in 1918 that St Mark’s acquired the status of an independent parish of Newnham. A capital fund was established of £625 to augment the Vicar’s stipend, to which King’s College contributed £50.